I dont know about TSN, but if RDS peaked at 3.106M in the 3rd, that's basically half the province that watched the game! I can only imagine if they go further. At first I thought the same. There's plenty to chose from. That pad save, coming in Game 7 when it was just 1-0 probably weights more in History than the glove save. Nobody gives us a shadow of a chance against the Pens either. I hope it motivates the guys. Halak's been an underdog all his life and he seems to thrive on proving people wrong. I hope the entire team feels they need to keep proving people wrong. WE SHOOK THE WORLD! LET'S KEEP ON SHAKING! Certainly gonna be a harder series than against the Caps. The Pens' defensemen will be hard on our forwards. Pay attention to Brooks Orpik, he can hit viciously. I'm also pretty sure Matt Cooke will do all he can to get to Halak. As for Sid, he's a much more complete player than Ovie. If you check him, he'll find an open man. I'd put Markov on him, it's our best bet to cut passes to and from Sid. Let G+G take care of Malkin. Martin will need to adapt the system. He got lucky against the Caps. We were facing a team tailor-made for his passive defensive style and we still needed 4 games and some Halak heroics to get out of it alive. He'll have to be much quicker against the Pens, who actually have the killer instinct and wont let us come back from the dead. Can't go in this series trying to keep the same recipe as against the Caps. Did anyone see the new official "History will be made" ad from the NHL? It's of Datsyuk's breakway goal in Game 7 vs Phoenix on a feed by Zetterberg. It says "What if the draft stopped after 5 rounds"... It's kinda funny when you think about Halak, because he was drafted in the 9th round in 2003. Starting in 2005, the NHL cut the draft down to 8 round. Halak wouldnt even have been drafted if the draft was 8 rounds in 2003! It's really crazy when you think about it: the Bruins, Flyers and Habs have been in a sort of 3-way battle for the last 3 playoffs spots; and most of the time all 3 teams played like they didnt even want to be in the playoffs. Lo and behold, all 3 survived the 1st round... and the top 3 seeds of the Conference are gone golfing. And if the Habs make it through the Pens, you have 2 historical rivalries waiting in Boston or Philadelphia. And if the Habs make it past that, you've got 2 Original 6 teams and another Canadian team in the West. 1. I take full credit for this win. Misa Campo FTW! 2. G+G were awesome. Shades of Rick Green and Craig Ludwig in 86. 3. ... 4. 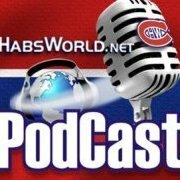 AK = 3.5M$ needed to resign Plekanec. 5. SK = 585K needed for a new zamboni 6. Halak to move it move it. 7. We played the same rope-a-dope strategies that got us pretty far in 2002. Not sure how much it'll work against the Pens. 8. The players' mood after being down 1-3 in the series surely showed mental focus. I hope it becomes a new team philosophy. Not gonna be easy. The Pens look poise to repeat. They are not the Caps. They have some D's who can hit and a goalie who can steal games. The Caps were a bunch of chokers, the Pens are reigning Cup champions. A whole new ball game. I wont mind, if it means Halak comes back to win 3 straight. 3 goals allowed on 137 shots in those 3 games. .978 save percentage FTW! So... Who starts Game 1 vs Pittsburgh? Price has a pretty good record against the Pens!